University of Nottingham > Blogs > Public and Social Policy > Criminal justice policy > Candid cameras? According to a report in the Daily Mail, Metropolitan Police Commissioner, Sir Bernard Hogan-Howe, wants all householders to install ‘eye level’ CCTV cameras in their homes. The Commissioner believes that more scene-of-crime footage will help police forces take advantage of technical improvements in facial recognition software by providing matches with the 12 million images they already hold on their database of ‘suspects and offenders’. 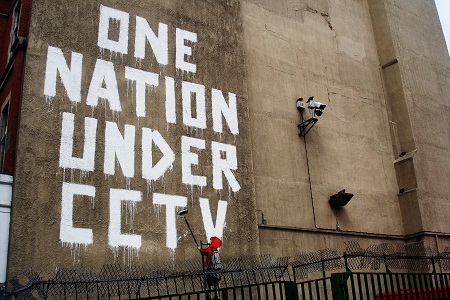 Big Brother Watch and other campaigners against the proliferation of CCTV in both public and private space were quick to condemn Sir Bernard for his ‘Orwellian’ ambitions. The Daily Mail went on to quote recent research from the College of Policing suggesting that CCTV has only a limited impact on property crimes and no effect at all on violence. In one sense, what Sir Bernard is calling for is entirely consistent with a long term trend of responsibilization – the reallocation of responsibility for preventing crime from the state and its agencies (such as the police) to individuals, families and businesses. As criminologists like David Garland have observed, responsibilization represents a gradual but potentially fundamental shift in the relationship between state and citizen, government and governed. More remarkable still perhaps is that Sir Bernard continues to be so concerned about catching burglars when figures from the Office for National Statistics show that, in 2011/12, households were three times less likely to be a victim of burglary than they had been in 1995. This is not to underestimate the impact of burglary on its victims. But the fact remains that the most potent and persistent threat to security in the home comes not from outsiders, from threatening strangers breaking in to steal property, but from violence visited on people – typically women and children – from within the supposedly safe space of the household itself. The quick fix provided by CCTV and facial recognition software will do little or nothing to solve the problem of domestic violence; and it is tempting to see Sir Bernard and his eye level cameras as a passing fad: a depressingly familiar case of a boy who should know better getting distracted by some shiny new toys offering a misguided technical solution to the wrong social problem.